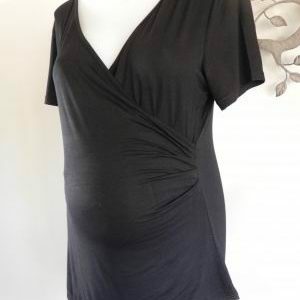 This is a beautiful top by Ninth Moon made from the incredibly soft modal fabric. Available in red (sizes 10, 14 and 16) or black (size 14 and 16) and purple (size 14). The top has long sleeves and crosses over at the front with two panels and they both lift easily to allow you to breastfeed your baby discreetly. 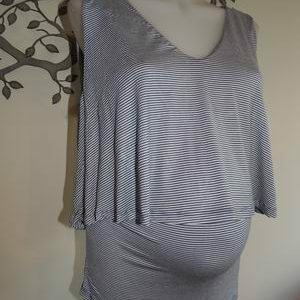 This top is designed to be worn during your pregnancy and after your baby is born because of the style and fit. This top retails at high end boutiques for over $100.00. Please email me your size and colour. Be the first to review “NEW Crossover Feeding and Maternity Top with Long Sleeves” Click here to cancel reply.